27 March 2010 – Sadly, this cafe has moved/relocated/closed. The premise is occupied by a Wan Stop Cafe now. I have no idea yet, on where Sharon’s Laksa has moved to, or are they still operating. Anyone? 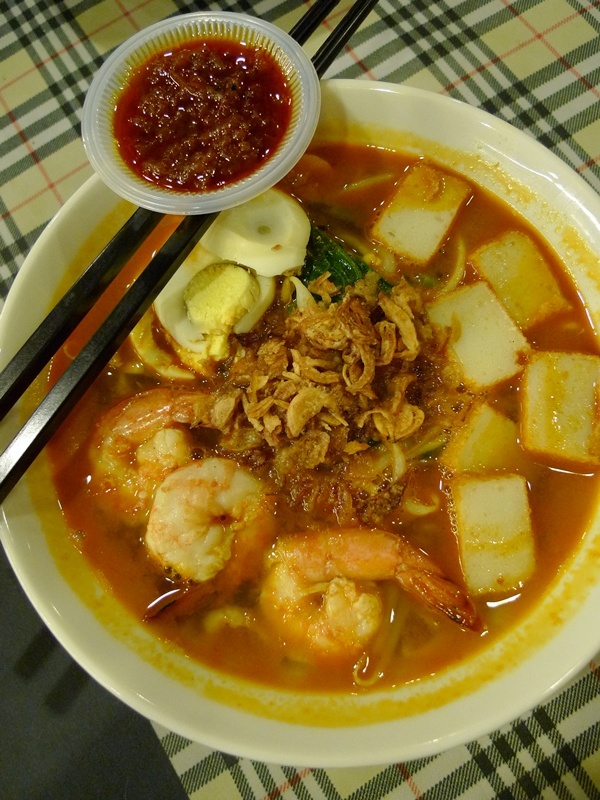 4 June 2010 – Sharon’s Laksa is not operating from any premises. But you can contact her through this number : 012-518 5562 for small parties, catering services and such. She still cooks for such occasions. But of course, the feedbacks from the gluttons (or eager & hungry ones) who have paid this charming cafe a visit ranged from the positive/glowing ones to the not-so-favourable replies. But indeed, credits to be given where they’re due, Sharon’s Laksa had only been operating for a few months, hence QC (quality control) aspects may not be in check YET, but rest assured the lady boss herself (an affable Sharon Chin) is constantly on the prowl, doing check and balance while still whipping up a storm. The Siamese Laksa recipe belongs to her, by the way. They extended their opening hours to a 12 hours slot, from 11am onwards, catering to both the lunch and dinner crowds, and everything else in between. So you know you CAN grab a bite if you’re feeling peckish come tea time, or later at night. Two items have been added into their menu, the first being the much-appreciated (by my grandma, no less) Pan Mee, or flat flour noodles literally torn into thick pieces and cooked in a most relished, sweet yet savoury soup base, then served with crunchy anchovies (you can choose to have them served separately to preserve the crunchiness), thinly-sliced black fungus, shiitake mushrooms and sweet potato leaves (correct me if I’m wrong). 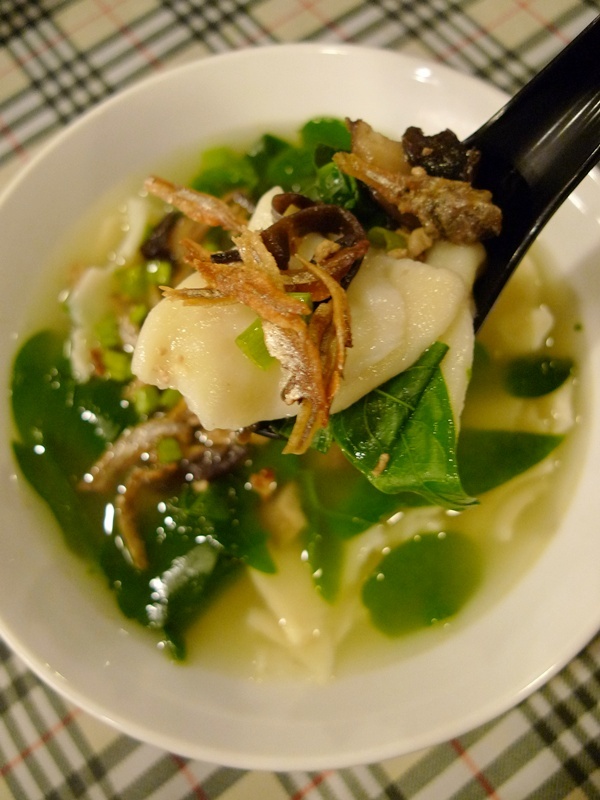 The thicker than usual noodles ensured a chewy, or most referred to as QQ texture. However, I’m no fan of pan mee served this way, but instead like mine to be long, in strands, and served dry; tossed with some soy sauce. 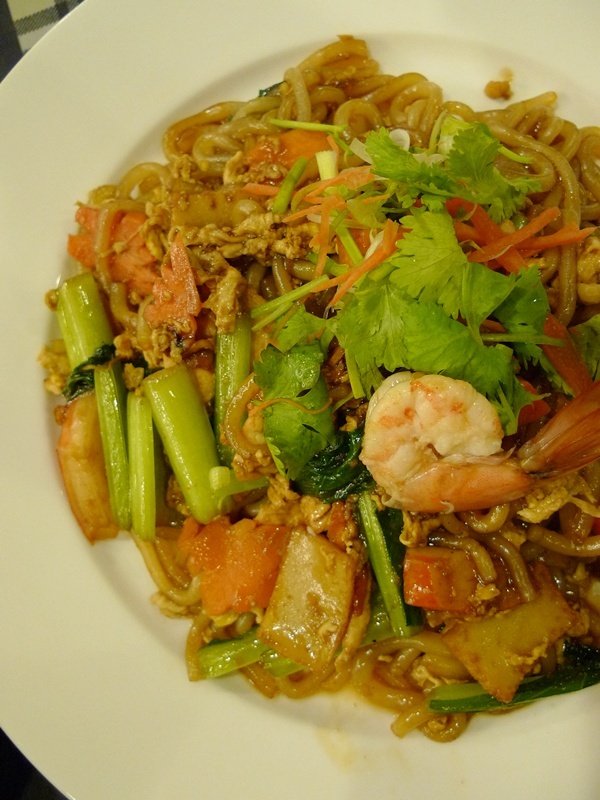 Another addition to their ever-expanding repertoire of dishes is the Home Made Prawn Mee, which scored rather well with everyone’s tastebuds. You can request for more chilly paste, rendering your bowl of noodles with a reddish hue (for aesthetic purposes, and of course, tormenting that palate like every spicy food lover should! ), or hold the fiery kick, in case you’re serving the bowl of noodles to an elderly or someone with IBD. Which brought to mind a few close friends. Hehe … but I won’t divulge the details, to protect my own welfare. Fried Dumplings (Wantan) – Firm, and packed with finely-minced chicken meat, the morsels make good snacks while waiting for your mains. They still serve the Siamese Laksa on weekends only (RM5.90 per serving), while the Assam Laksa is available on a daily basis. 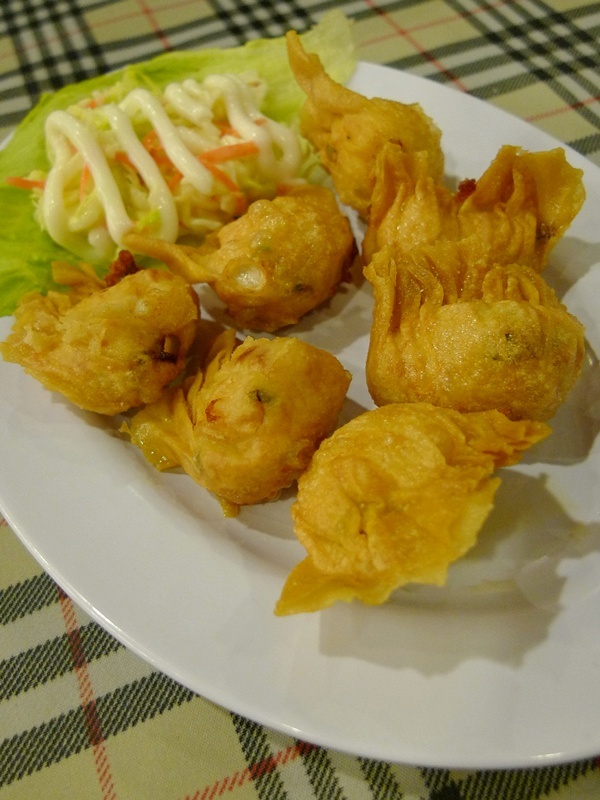 The Fried Lai Fun (lai fun being long strands of rice noodles, used in Laksa mostly) arrived with a splendour of ingredients, ranging from the usual shrimps and chicken meat, to sliced fish cakes, eggs, and carrots. 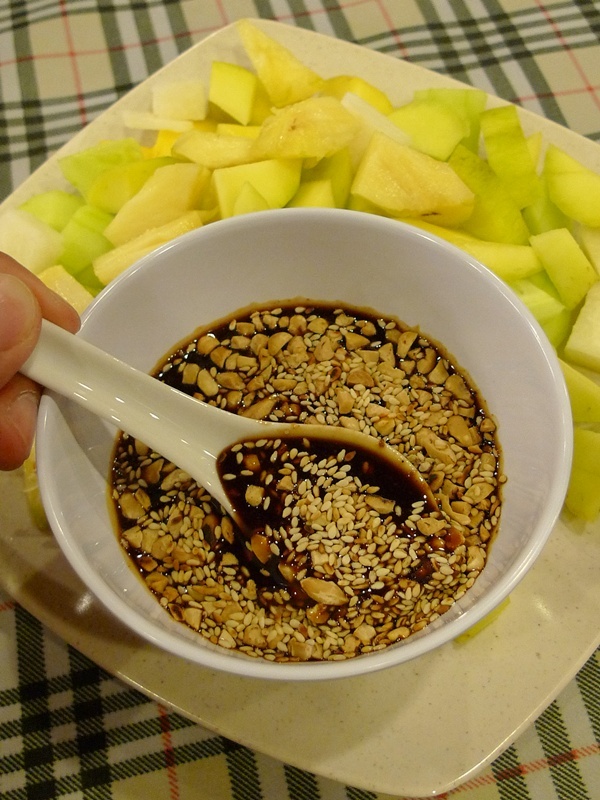 Sharon makes her own Rojak sauce, sprinkled liberately with toasted sesame seeds and chopped peanuts for that extra crunch. More sweet-ish than spicy, the sauce goes down well with the children and again, those not keen on torching their tongues. Served with cuts of pineapple, cucumber, yambean, and raw mangoes. I’m not a prawn mee person but I would definitely try the prawn mee. Looks like a really cute cafe/ restaurant…..
Oh yum… it all looks so good. The prawn mee noodles are good. 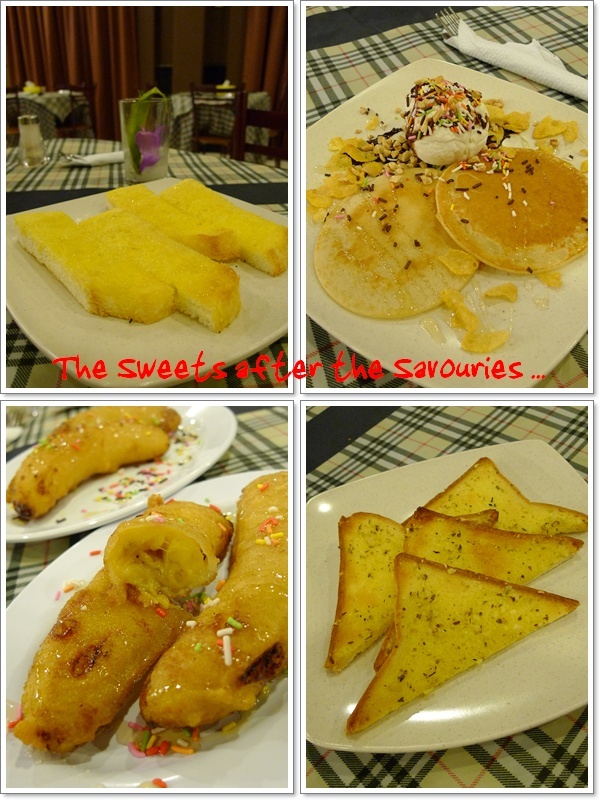 The sweet snacks… oh so mouth watering. .-= ladyviral´s last blog ..Deepavali Open House =-. inconsistent? let’s hope Sharon takes note of this. on the second visit to Sharon’s, I actually found that the Siam Laksa had somewhat deteriorated, compared to the 1st time I had the same item. too sour, almost like Assam laksa. 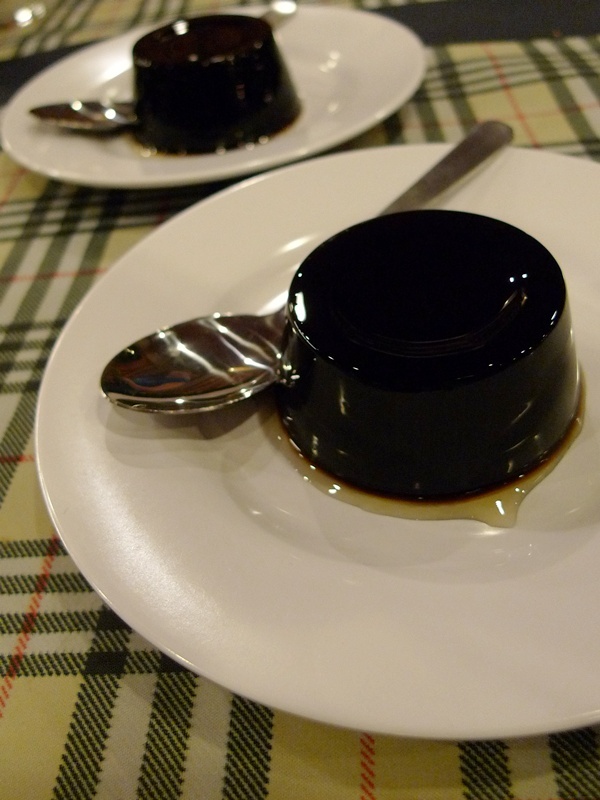 Family Restaurant’s version was okay IMO, had that once a few years back (=P) and may just go again for comparison sake. thanks SueLynn for the reminder. yeah, none of those pink jambu, prawn crackers, or yellow mangoes. Fried lai fun!! Lai fun should officially replace all yellow noodles!! It’s such a shame that it’s used only in laksa. This place looks like my kinda place! In your future posts, would it be possible to tell me (and other readers) whether the restaurant is halal? And keep up the good work on your blog. hi David. If the restaurant is HALAL, I’ll put a TAG Halal underneath the post. just watch out for it. but more often than not, we go for Chinese food, hence the lack of Halal food posts. but I’ll try to cover the Halal varieties more, no fret. this was ONE dinner. hehehe …. though we went in a rather large group. Oh fried lai fun is something new to me! Interesting choice of noodles. Too bad it’s only available on a weekday! .-= iamthewitch´s last blog ..A Japanese & Western Twist at La Yosh =-. 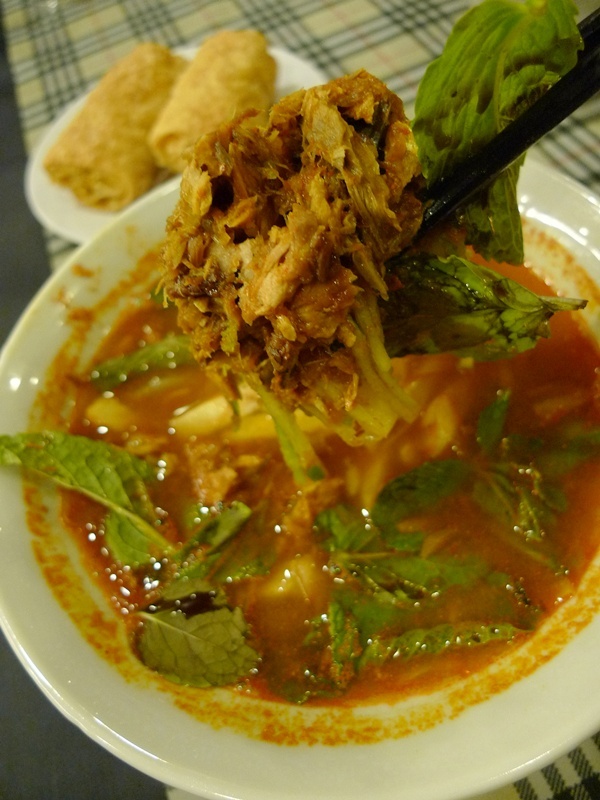 I’ve had curry mee during our Ipoh visit but not assam laksa ;P i wan some!! citygal didnt bring you to Kee Poh in Gunung Rapat meh? she brought me and Jason there last time. wah …. thanks for the info. outsourced as in? the recipe or the erm, cooking team? I’ll be sure to try the Family version one of these days again. for back then, I have not even started my blog yet, so no photos. but I’ve been to Family for breakfast, having their sandwiches, noodles and such. J2fkm, i really dont understand.. my comments cannot go thru..ok, let me try one more time.. i dont see my comment shown for the last two posts.. wonder what is wrong.. testing testing..
I’ve just tried the Siamese Laksa, too sour for me & my sis, the ‘lai fun’ is a bit too soft. The service was also quite slow, my brother-in-law’s ‘pineapple fried rice’ was served only after we have almost finished our meal. Anyway, the ‘Nasi Lemak’ was quite OK.
Oh dear, bad dining experience you had there? On our second visit, the Siamese Laksa was indeed too sour, almost resembling Assam Laksa, which had us re-confirming with the staff whether they had mixed up our orders or not. Service-wise, it was decent the times we had our meals there. Maybe they hired newbies/part-timers? Ya ! My sis did the same to confirm whether it was Assam Laksa or Siamese Laksa. BTW, I really like your blog, I’m a Hainanese Ipohan who stay in KL, I ‘introduced’ your blog to my sis in Ipoh, she likes it and so glad that no need to hesitate where to take her meal with family during week end now. Thanks ! Sorry, Sharon’s Laksa is NOT operating anymore. Though she has the intentions to ….. Anyway, she still caters for small parties and catering. You can contact her at 012-518 5562. Another place for Siamese Laksa is Family Cafe, about 100-200 metres away. Facing the main road, same row with Min Sin Yie Vege Restaurant. But not as good, in my opinion. Nothing related to food. But that premise where Sharon used to operate – it’s jinxed. So many food outlets have operated there and they have all failed! 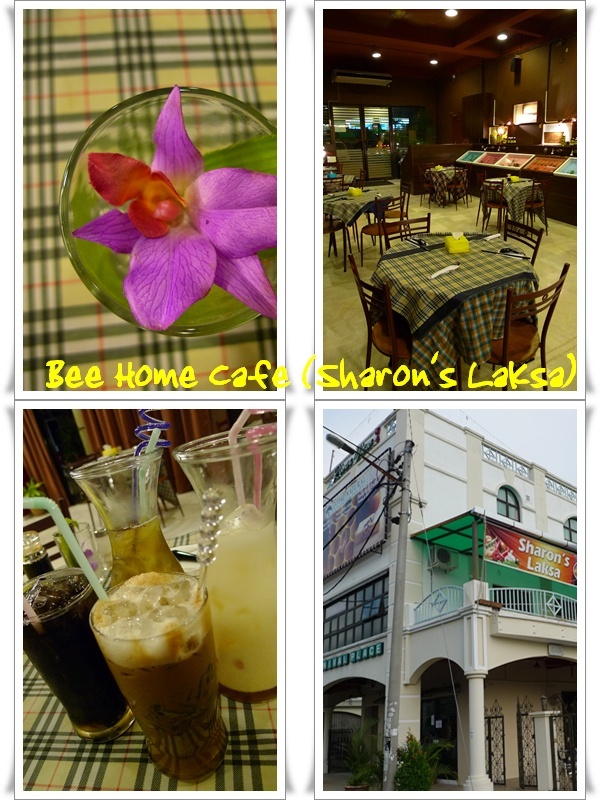 True lah, the last I went, after Sharon’s has closed down; was a place named Wan Stop Cafe. And trust me, you DO NOT want to go there. The so-called Portuguese style Grilled Fish was horrendous.